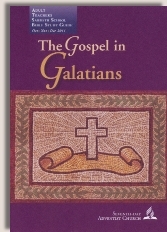 Instead of reading the quotes written by Ellen G. White given for today's lesson, please re-read the entire book of Galatians in one sitting. Ask God to open your eyes to see what He is teaching you through this important book. May you trust the words of the Bible and follow wherever Jesus leads you, no matter the cost!